It was not my intention to review the campgrounds at the Balingup Transit Park. We had planned on a long weekend away at Wrights Bridge, a campground I had read numerous positive reviews about. Alas, so had many others because when we arrived on Friday before the Labour Day long weekend, it was full. After a quick lap around the campgrounds, we realised no sites were free and we scrambled to find an alternative. It’s funny how trips don’t always go to plan but then work out far better than what you could have planned. After some quick Googling, the choice was between the Transit Park or Grimwade. 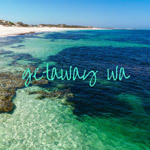 As we had limited water and a preference for using a toilet, free camping at Grimwade was not ideal so we tried the Transit Park and found the perfect location for a long weekend away. Balingup is around 230km from Perth, which is about a two and a half hour drive. The Balingup Transit Park is located close to the centre of town, off Walter Street next to the sporting oval and recreation facilities. When heading down South West Highway from Perth, turn left onto Jayes Road, then take the second left onto Walter Street. We were sleeping in the Landy so we were charged $12 a night for an unpowered tent site. Powered sites are available. Since it was a last minute decision, we turned up and chose a spot but you can book ahead via the Visitors Centre. We walked into town the next day to pay our fees. Bays are faintly marked out and numbered on the kerb or roadside. You can park either side of the road that runs parallel to the sports field and some bays are larger than others. The maximum stay is 3 nights. The park was a little bit of camp luxury by our standards. The toilet block is a short walk from each site and campers also have access to the toilet and shower facilities at the sporting ground. Everything is clean and in good working condition and the showers are hot with excellent water pressure. Bins are also provided throughout the site. The bays alongside the oval receive tree shade for most of the day and most sites have either a wooden bench or picnic tables and chairs. The opposite side of the road has lovely grassed areas but you would need some protection from the sun. We didn’t bother putting up the gazebo (actually we forgot to pack the cover but fortunately we didn’t need it). Some of the bays may not fit both caravan and car but there is plenty of parking space further up the road or in front of the ablution block. It is an easy walk into town from the park, where you have access to cafes and shops. Simply walk towards the highway before crossing a bridge and follow the path. Being so close to town also means you have phone reception for looking up maps, planning adventures and posting selfies to Facebook bragging about your awesome holiday digs. There is some highway noise with the occasional rumble of a Qube truck heading through town but it won’t wake you in the middle of the night. Most of the visitors to the site were in caravans and campers so it was a crowd of grey nomads, couples and older families. It was a friendly, quiet group with plenty of chatting and activity during happy hour. With access to the oval, there is plenty to do and it was a great spot for people with dogs that need walking or small children who need wearing out before bed time. Balingup is a cute town and wandering the main street won’t take long but there are some sweet little shops where you can spend your tourist dollars. My favourite is Tinderbox, a shop full of natural lotions, potions and treats. I needed to restock on the Basil and Oregano dried herb shaker – a magic mix that will transform your camp bolognese to another level. There are several places to eat along the main street. We had a great hot chocolate and coffee at Taste of Balingup. On our last visit in 2016, the tavern wasn’t open but we were pleased to see it up and running this time. Several festivals run during the year in the area, including the Medieval Carnivale and the Small Farm Field Day. The Field Day is held on the sporting oval so check ahead whether you can still camp at the Transit Park. Nannup and Donnybrook also hold several different festival days during the year, making Balingup a great place to base yourself to enjoy what’s happening in the region. Admittedly, we didn’t visit Golden Valley Tree Park on this trip so the above image was taken on our last visit during August 2016. A short 2km walk or drive out of town, the park is worth visiting at any time of year to see the seasonal changes. On our last visit, the landscape was beautiful if a little muddy in spots. The park is divided into native and international sections and both are worth taking the time to walk and a visit could easily be split over two days. Entry is free but donations appreciated. As always, we wanted to try a local bushwalking trail. The Transit Park is situated along a section of the Bibbulmun Track as it passes through Balingup and there is a half day walk (around 12km) which gives you a taste of walking the track. The trail passes through a variety of terrain from bush to a pine plantation, alongside the brook and past various homesteads. A trail guide is available on the Balingup Tourism site and is mostly accurate. We had no problems following the instructions and it gives you some historical details as you pass various sites. If the water is low enough, cross over to the homestead owned by the Ayers family and view the beautiful oak tree. Eventually you pop out onto Grimwade Road and begin the journey back to your starting point. The trail is a mostly flat walk with one large hill to climb (tellingly called Heartbreak Hill). You will need to be of reasonable fitness as the march flies were rather friendly and don’t give you much opportunity to stand still for a break. There is also an abundance of blackberry bushes along various parts of the trail so keep an eye out for rogue branches. We sampled a few berries until we came across a sign telling us not to eat the blackberries as they had been sprayed. Oops. The sign was about 3 years old though and I’m still here to tell the tale. Balingup is a good base if you would like to tour the area. Nannup is a short drive away and the link road from Balingup is one of the prettiest you’ll see in the south west. Further south are Greenbushes and Bridgetown and both could be visited for a day trip, returning via Nannup. Donnybrook to the north is only 30kms away and has plenty for tourists. There is nothing better than kicking back after a day of bushwalking and exploring with a wine in hand, watching the sunset and enjoying the sights and sounds as people return to camp to swap stories and settle in for the evening. As we left, we agreed that this would be one spot to remember for an easy weekend getaway. Balingup Transit Park is a laidback and inexpensive choice for anyone wanting to explore the area and spend some time relaxing down south without the crowds. Sometimes the best places are the ones we didn’t intend to go to or never knew existed. So true! A change of plans is an opportunity to try something different. Hi Jo thanks for the comprehensive write up. Lin & I will be heading there for a few days R&R.